One of Paul-Cézanne's campuses in Aix-en-Provence. With this aim in mind, Agence Iter France entered a partnership with Université Paul-Cézanne to provide French classes to ITER staff and spouses. The agreement was signed on Tuesday 15 December in Aix by François Gauché, Director of Agence Iter France and Marc Pena, President of Université Paul-Cézanne, in the presence of Kaname Ikeda, ITER Director-General. 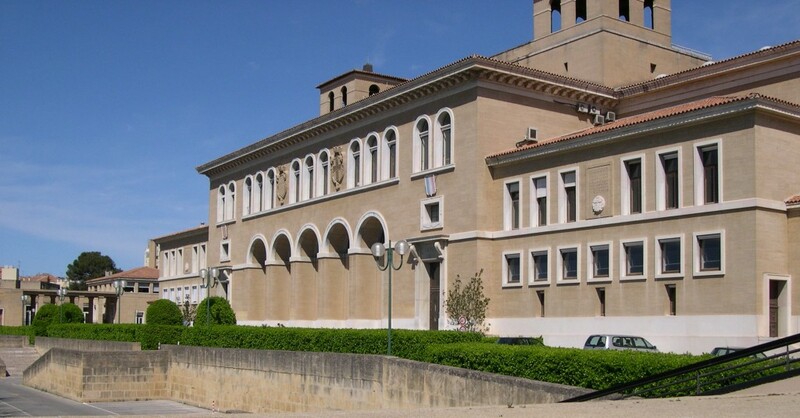 The partnership will enable staff and spouses to attend French classes taught by University professors, either on site at ITER or at Paul-Cézanne's campus in Aix. "Twenty hours of class per week, that's quite intense," said Maiyee, one of the ITER spouses quoted by Marseille's daily La Provence. "But it is a wonderful opportunity for us!"